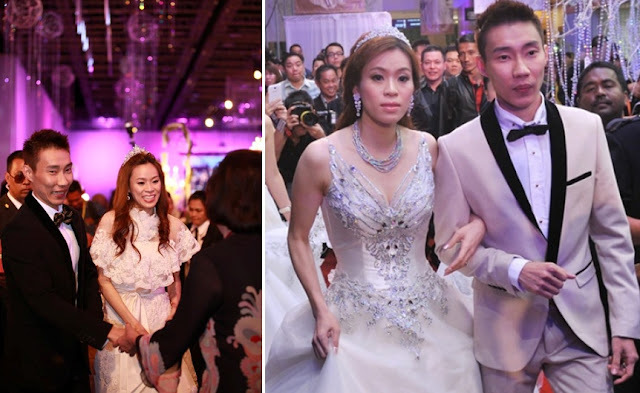 Badminton world champion Datuk Lee Chong Wei (as of 15th Dec 2012) and sweetheart Mew Choo held a romantic beach ROM ceremony on 8th of Oct at the Golden Palm Tree Resort in Sepang, followed by the pre-wedding photo-shoot on the next day at the same location. 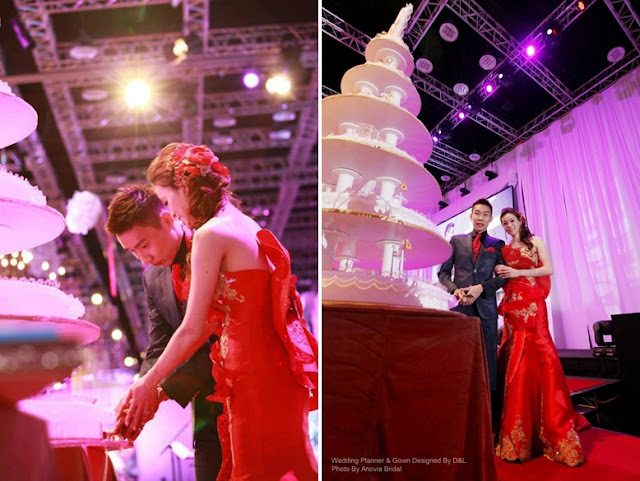 The couple celebrated their BIG "days" on two wedding reception occasions. 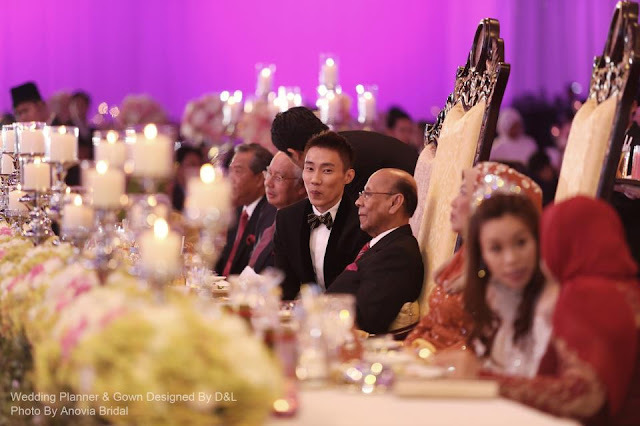 At the first dinner on Nov 9th, we saw the presence of the Yang di-Pertuan Agong, Raja Permaisuri, our Prime Minister, dignitaries, sports personalities, the rich and famous, which was shown live on NTV7. MC donned a designer wedding dress embedded with more than 10,000 Swarovski crystals created by D&L Couture. 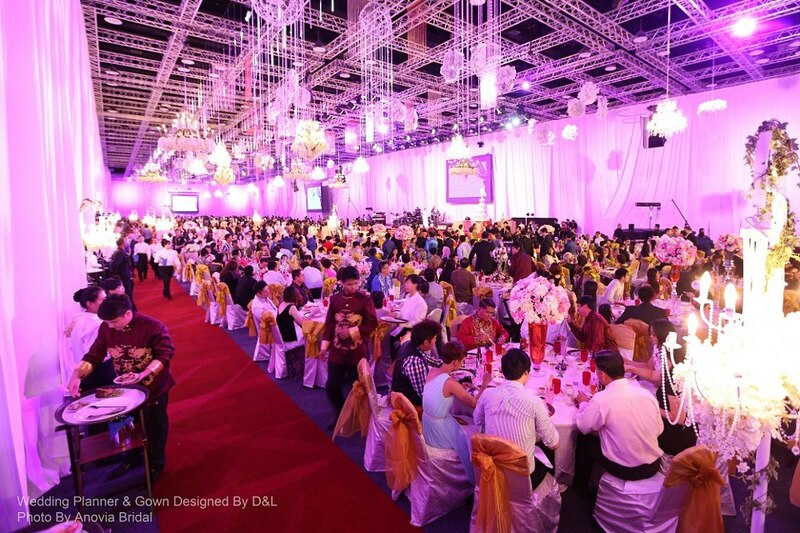 There were altogether 1500 guests. 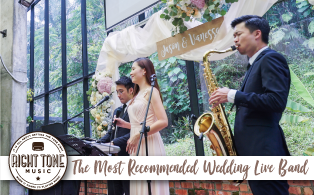 The next morning, Chong Wei and his groomsmen took the courage to endure the treacherous challenges set up by Mew Choo's line of bride's maids to get the beautiful bride. The second dinner reception was held that night itself attended by the couple's family, and friends. Invited performer Maria Cordero cracked jokes and played a dancing game with a group of CW's male friends, which contained adult themes. I wonder how well did the first lady who was sitting right in between CW and wife, take it. 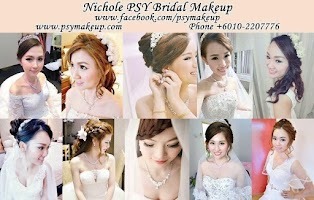 photos of the reception and pre-wedding shots. DL Couture was the sponsor of all the outfits worn by the bride, groom, brides maids, best men and family members. That's some of the benefits you get for being a sports superstar. The couple got their Louboutin bridal heels and shoes from Paris. 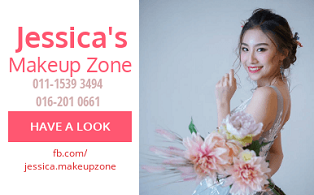 Their wedding package, which includes photography and make-up by Anovia Bridal from Panang, Spozami Wedding Mansion from Johor and Sanyu Chen Beauty, cost about RM1.25 million. The extravagant actual wedding day was a super-cars affair. 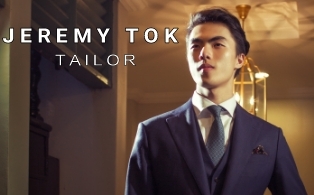 During "fetching the bride", the entourage was being chauffeured in luxurious Bentley, Rolls Royce and Ferrari. 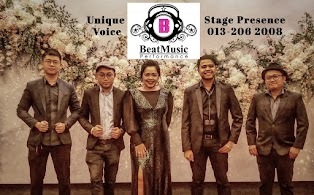 Walking the red carpet at the reception dinner, KLCC. 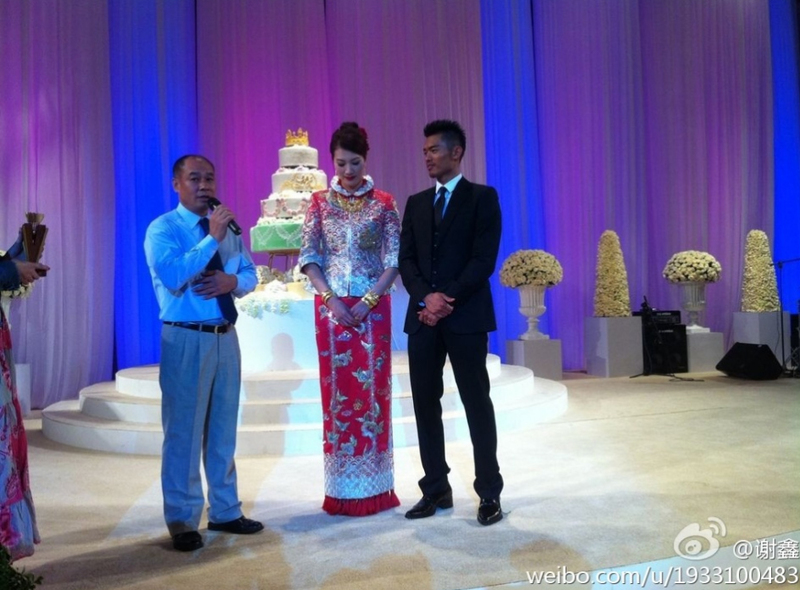 Mew Choo wore a lacy wedding gown with a short jacket. two girls had to help her carry the train up the stage for cake cutting. Intimate first dance by the couple. 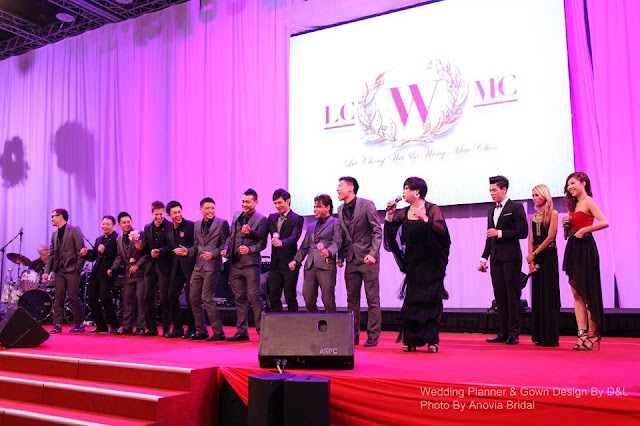 Singer and comedian Maria Cordero teaching the groomsmen to demonstrate some "techniques"
for Chong Wei and wife to be fruitful and create little CW and MC. 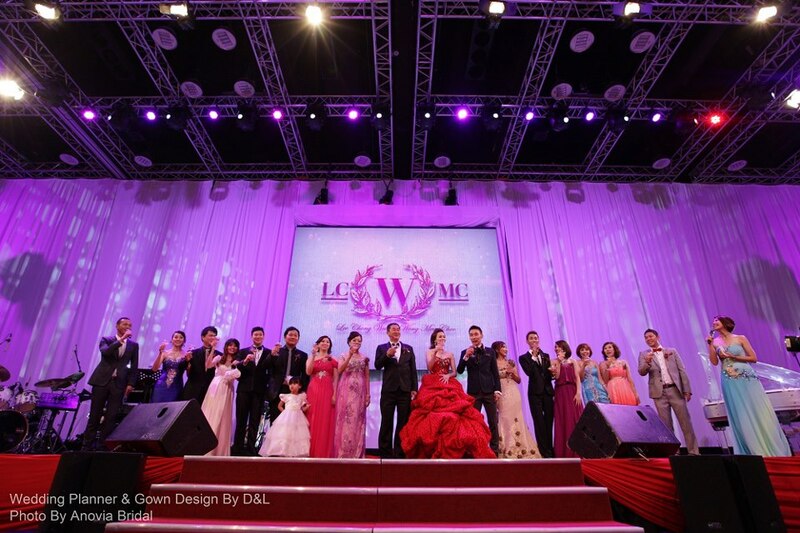 Designed and made by D&L, The gorgeous gowns were designed specially for MC's tall and slim figure. 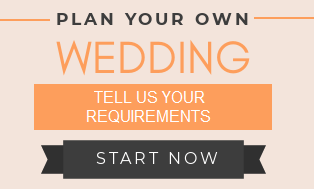 First reception on the left and the second one on the right. 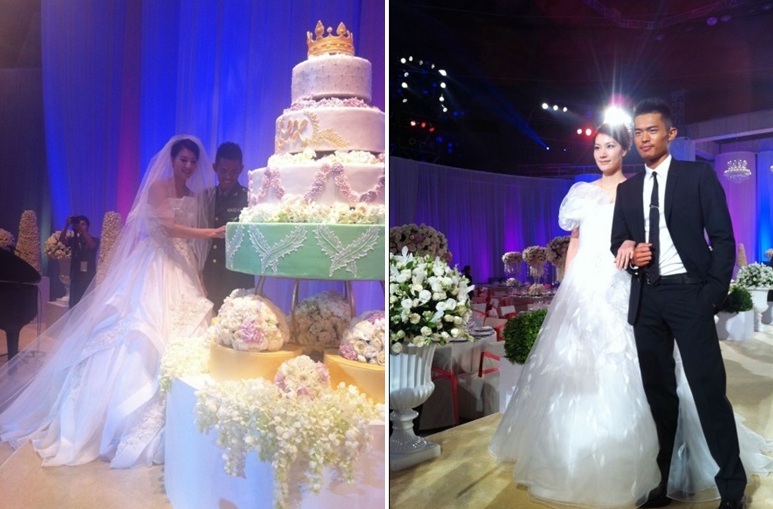 Tall and slim XingFang wore a princess #ballgown wedding dress which did not showcase her figure very well. XF wore a beautiful traditional traditional two piece "kua"/ #kwa. She looks so pretty. Badminton brought Chong Wei and Mew Choo together. They had figurines of two of them playing the game as the cake topper. 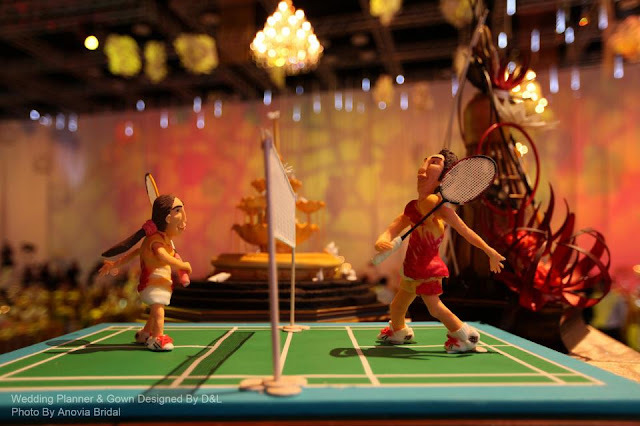 Badminton brought Lindan and XingFang together. They had a shuttlecock wine glass (I think) at their wedding. Lin Dan and his entourage began the big day by picking his bride up with a convoy of Porsche. Apparently the gate crashing tradition is also popular in China. 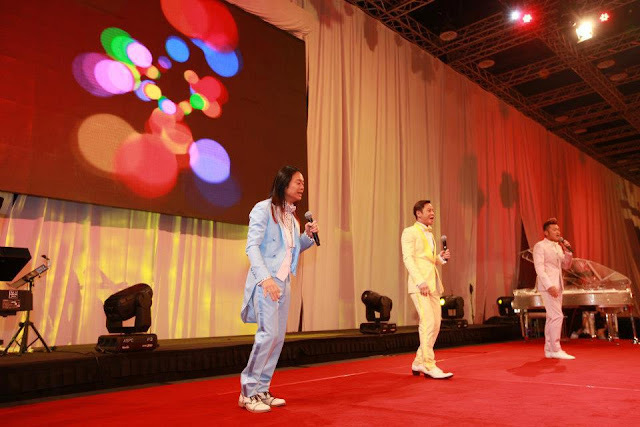 Lin Dan and his best men were made to do the Swan Lake ballet and "Nobody" (by Wonder Girls) dance routines. 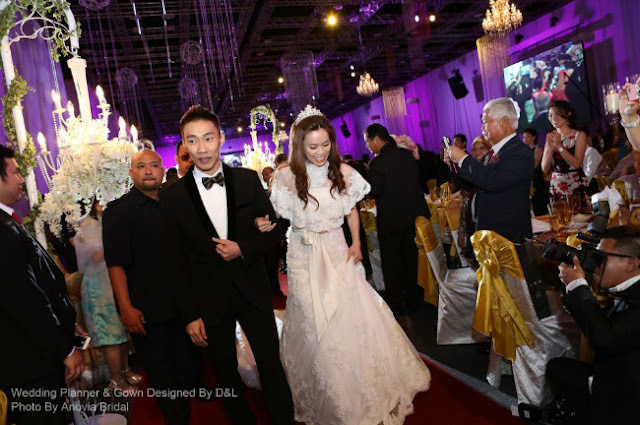 Chinese media estimated that Lin Dan spent three million yuan (RM1.5 million) on the wedding, which included the costs for 200 security personnel, 10 florists, two wedding rings and several dresses. The wedding of Lin Dan and former China national champion Xie XingFang was held at at Beijing University of Technology Gymnasium where they competed at the 2008 Beijing Olympic games together. During the wedding, XF said one day LD asked her to go out for dinner but she refused because she wanted to cook for him. After dinner LD rushed to the kitchen to wash the dishes. XF said she wanted to do the dishes but LD would not let her, so she could keep her gentle and smooth pair of hands. Guys say this just to make your heart melt for that day and I'm sure they wouldn't mind their wife/ gf doing the dishes next time, I tell you. Nevertheless it's a sweet gesture. footage of the tea serving ceremony on 23 Sep 2012. 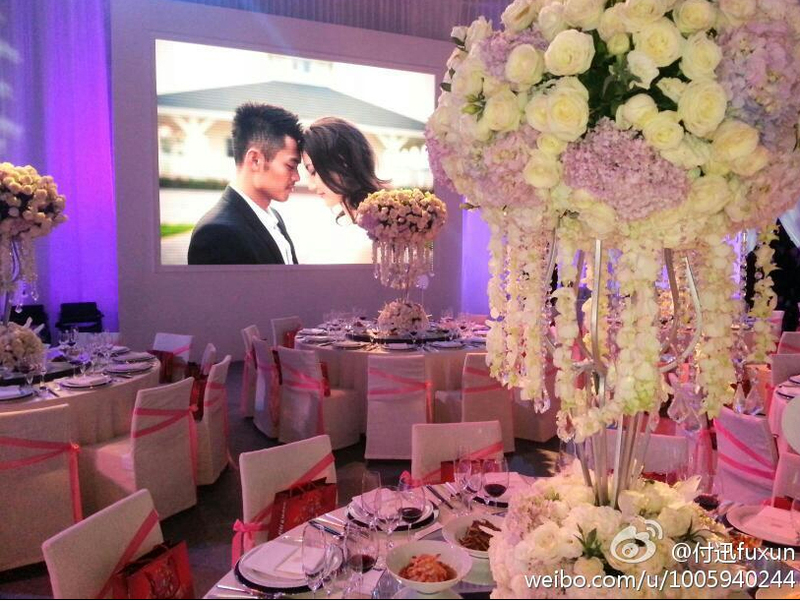 Lin Dan was Odette, the princess turned into a swan by an evil sorcerer in the "Swan Lake". LOL. Gorgeous wedding. Every table is decorated with an artistically put together flower stand. The bride is absolutely stunning. 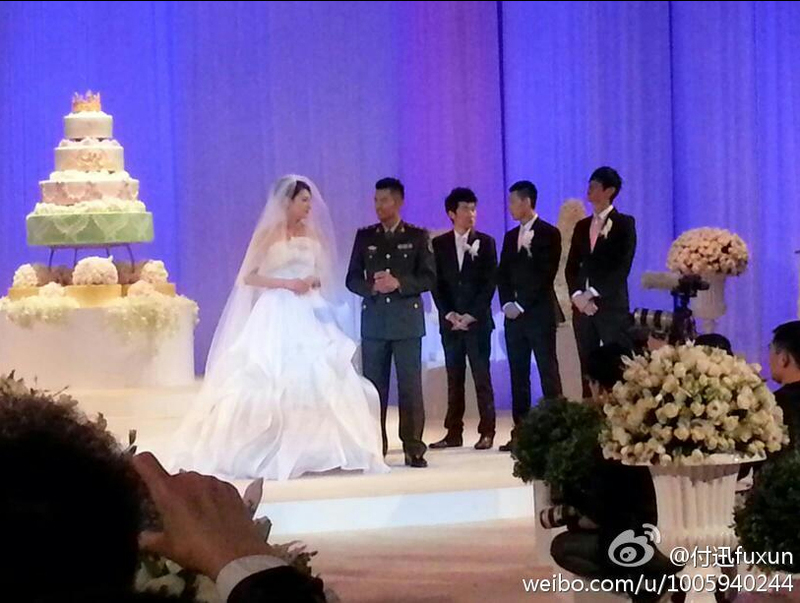 Verdict: Chong Wei's wedding was attended by the king and queen. 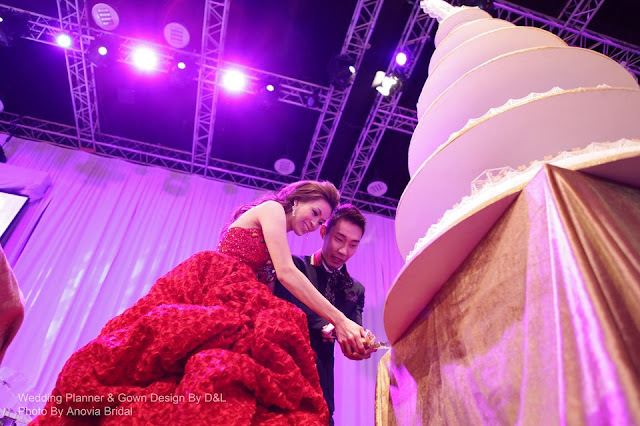 It was celebrated like a royal wedding, bigger than any celebrity weddings in the country. 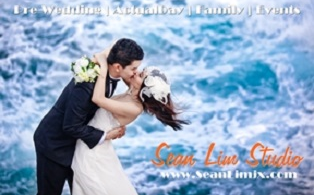 Bill boards of his wedding photos are everywhere. CW is a national hero who has great sportsmanship, very modest on-court. I vote for Chong Wei.